Shen Yanxiao won the match, next, she would battle the most powerful Magician of the Long Xuan Empire younger generation— Qi Xia! People who had seen the Warlock's might began to look forward to this last battle! Li Xiaowei walked off the ring. Tang Nazhi who was squatting on one side looked at Shen Yanxiao before he stood up and walked toward Li Xiaowei. Li Xiaowei slightly frowned. 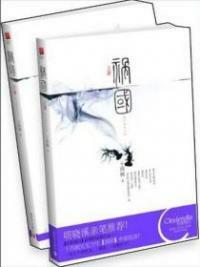 He did not pay Tang Nazhi any attention and just directly walked away with long strides. Tang Nazhi immediately followed him. Watching the enemy brothers leave, Shen Yanxiao merely breathed out. It must be said that Li Xiaowei was not easy to deal with. He was a very skillful Archer. If not for her own special circ.u.mstances, and her understanding of Archer profession, she feared that it would not be that simple to win. Shen Yanxiao looked up, looking at Qi Xia in the waiting area. Next was the battle between the two of them! "Do you think either of them will win?" Yang Xi and Yan Yu, who were sitting together, began to predict the outcome of this last match. "Is it about shamelessness or strength?" Yan Yu asked. Yang Xi stroke his chin and said as if he was taking things very seriously, "In terms of shamelessness, Qi Xia is estimated to be in the G.o.d-level." Yun Qi was sitting beside the two people. Watching as how they were not a bit worried about their companion, but instead spitting on him without any moral integrity, he felt helpless. Was it really all right to spit on him like that! Shen Yanxiao only rested for a while before she was called to stand on the ring again. After seeing the two matches the Warlock had won, the organizers of the school tournament began to worry about whether Shen Yanxiao would continue to win with her Warlock profession. That was definitely not something they wanted to see. So they could only look forward to Qi Xia, this powerful Magician, to win the final match. Shen Yanxiao once again stood in the ring, looking at Qi Xia who was across her, wearing an extremely infuriating smile and was eager to get into action. Magician and Warlock had the same way of dealing with another profession. The difference was that the Magician's attack was an explosive blow. They could hit their opponent with a single hit. While the Warlock's was a lethal blow. One shot would allow their opponents to completely lose their combat effectiveness. No matter which side, they absolutely could not afford to be subjected to the other's blow, else the match would definitely end! In other words, from the moment the match started, both of them must play with one hundred and twenty thousand fighting spirit, otherwise, the slightest mistake would let them lose all opportunities. "Well, I finally got to fight with Little Xiao. I'm really looking forward to it a little in my heart ah." 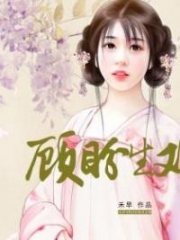 Qi Xia's face was plastered with a fox-like smile. His eyes which were usually without a trace of seriousness hid a touch of excitement at this moment. "You can try to be a little bit more abnormal." Shen Yanxiao's mouth was twitching. 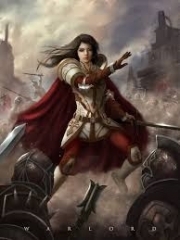 Qi Xia gradually ignited her fighting spirit that now she really wanted to flatten people. "If you like." Qi Xia shrugged. Watching the two people bickering, the referee on the side could not help but cough to remind them that this was the Long Xuan Empire most important match! "It seems that they will be anxious if we don't do anything." Qi Xia lazily glanced around the crowd. Those pairs of green eyes which were as if facing a danger were like from a pack of hungry wolves. "Then let's start." Shen Yanxiao warmed up her hands and feet and spoke with ease, but she knew that this battle would be the toughest battle she had ever faced until now! Because Qi Xia was definitely not an easy opponent! Qi Xia just stood in the ring, watching as Shen Yanxiao performed constant hand seals. His eyes flashed a trace of doubt. But he did not intend to continue to be in a daze. 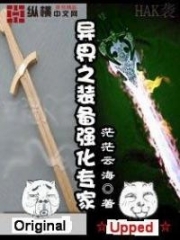 He raised his wand to prepare shooting a powerful blow toward Shen Yanxiao. However, the moment Qi Xia made some action, Shen Yanxiao also stopped her hand seals. She slowly raised her right hand, as if she was holding a wand in her hand. Her action was exactly the same as Qi Xia’s! 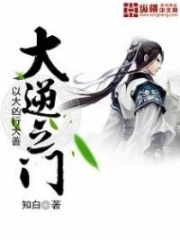 Tang Nazhi: Could it be that&h.e.l.lip; Shen Yanxiao is a wizard?! 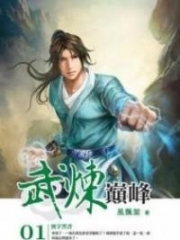 Yan Yu: It is magician not wizard! There’s no wizard in this novel! Tang Nazhi: She’s not really a warlock! Yan Yu & Yang Xi: THEN HOW CAN SHE DO CURSE? You're Read The Good for Nothing Seventh Young Lady Chapter 560 online. If you find any errors or translatation mistakes, please let us know so we can fix that as soon as possible. Current Time is 21-Apr-2019 16:46:33 PM.